A little LiftActiv Supreme Anyone? 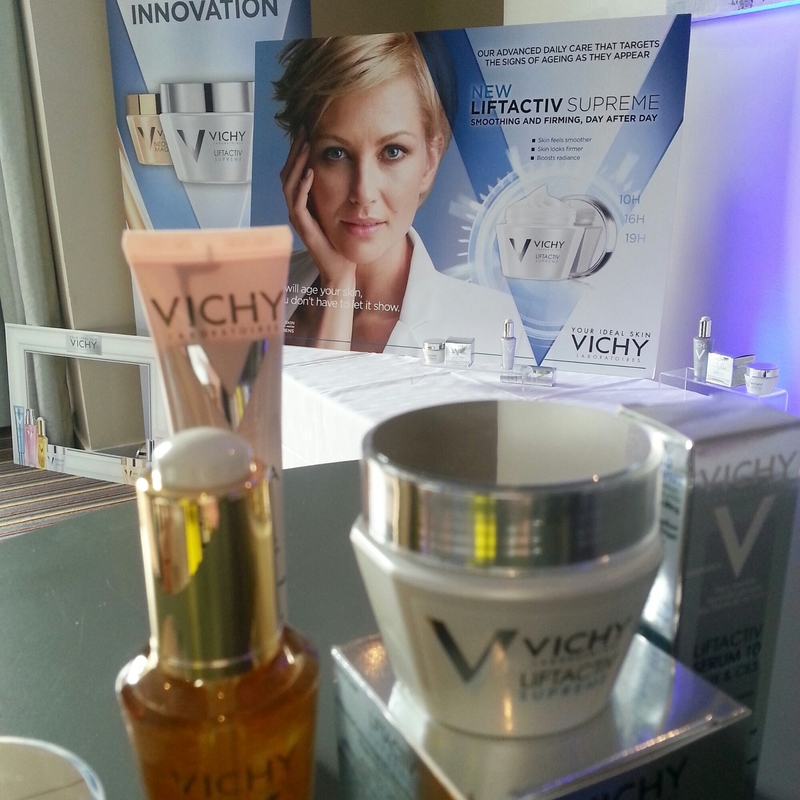 I was first introduced into the Vichy skincare brand two years ago at an event held in the Merchant Hotel. I was just home from holiday so my skin was in need of some TLC after being exposed to the sun for two weeks. 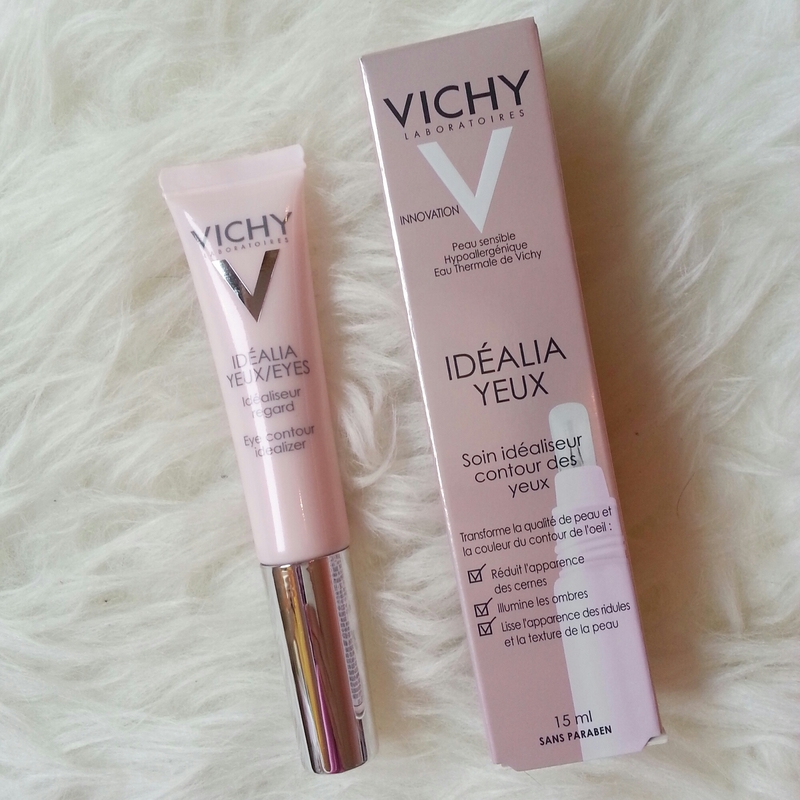 At the time, it was the launch of their Idéalia Life Serum and it was the first product I used to pop my Vichy cherry! 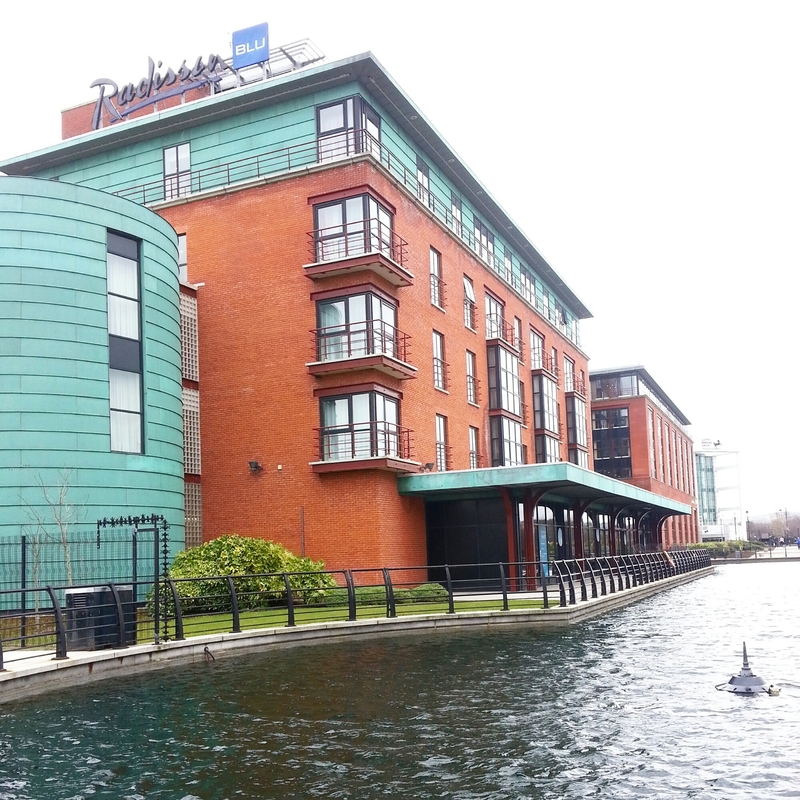 Their latest launch was held at the pretty Radisson Blu Hotel in the idyllic Gas Works setting. Surrounded by water, it was the perfect setting for the reveal of their new and improved, LiftActiv Supreme. 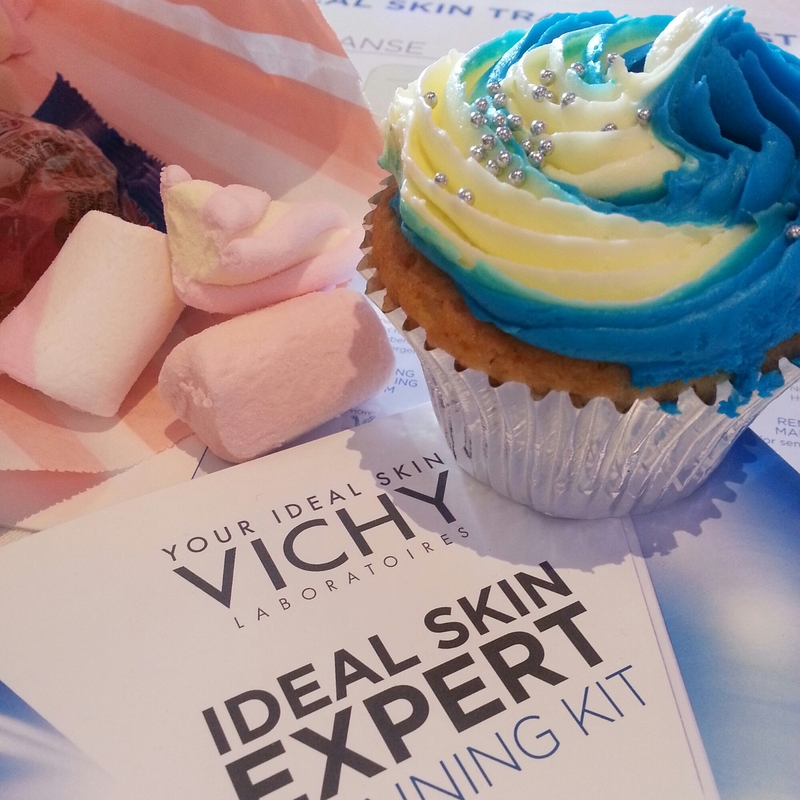 Every Vichy event that I have been to always involves fun and food! The perfect combination if you ask me, add in some beauty products and I’m in heaven. 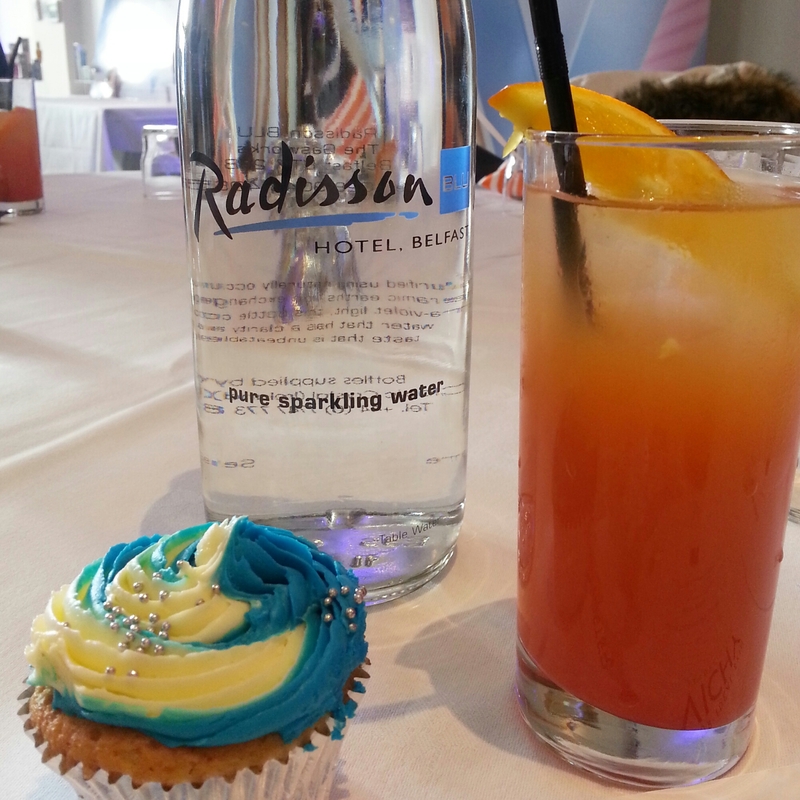 We all sipped on sweet, tropical drinks while all while overloading on some delicious cupcakes and pick ‘n’ mix treats. I told you I was in heaven! I always get sidetracked talking food, so back to the beauty. 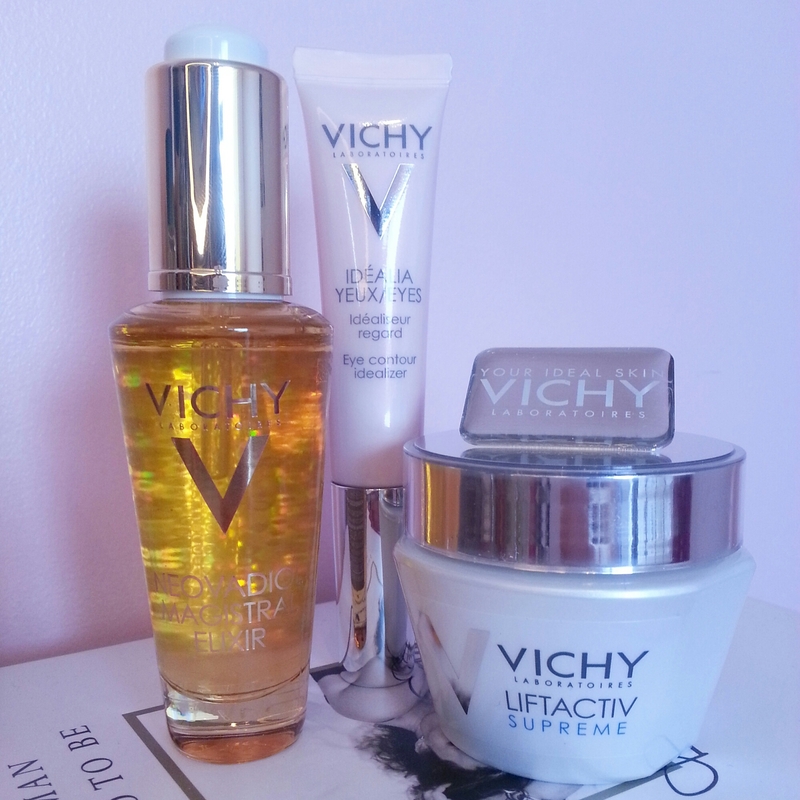 What I like most about Vichy is the scientific research behind each and every product. An in depth presentation is always on hand and we are all provided with every reason and ingredient used. 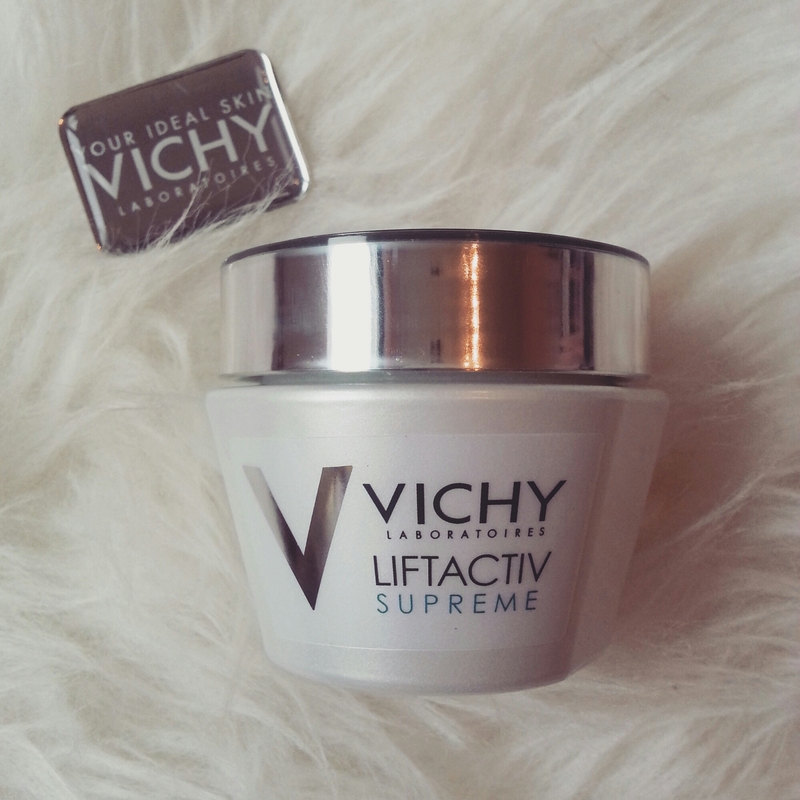 In regards to their new LiftActiv Supreme, it is designed to target the signs of aging as they appear thanks to their new advanced ingredients. Up for discussion was a few other products that are sure to chater to your every skincare need. I always have problems with my eye area, in particular dark circles. I have tried a wide variety of brands and have yet to find one that I’m happy with. In our goodie bags was their eye contour from the Idéalia range which I’m looking forward to reviewing. 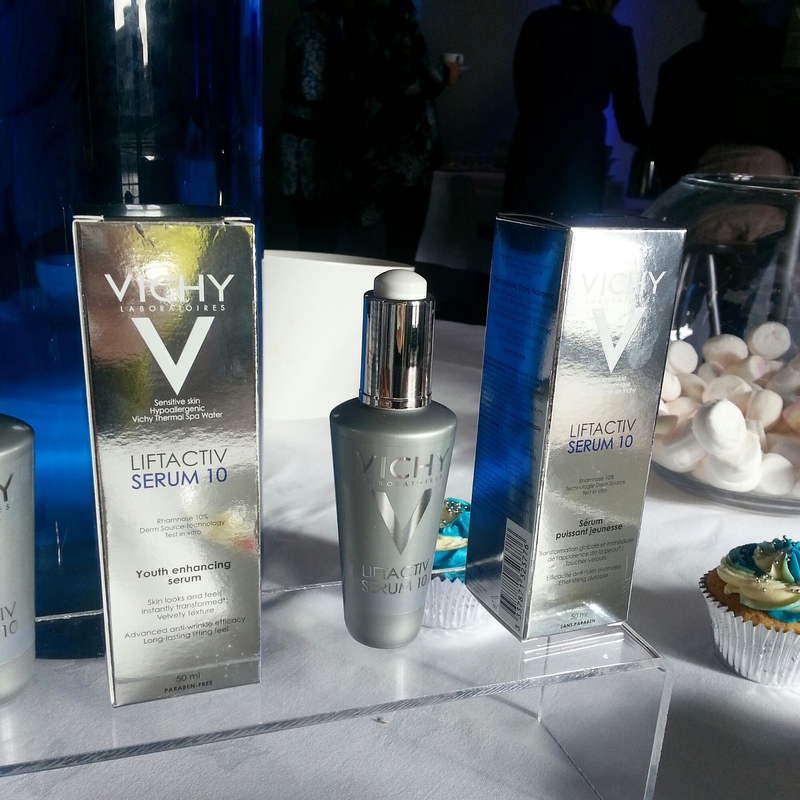 It is always a positive note when a skincare brand caters to all skin types both young and mature. 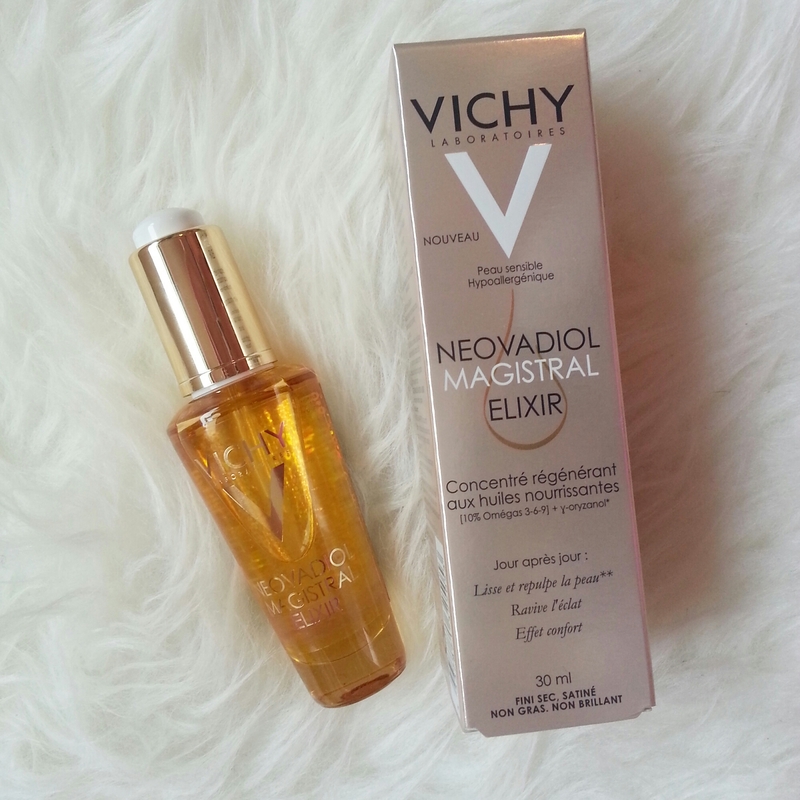 Included within the gift bag was also this sweet shimmering serum, Neovadiol Magistral Elixir aimed at women who are fifty and fabulous, experiencing or post menopause, with sensitive and dry skin due to the hormonal slowdown . Thank you to Zara and Nicola for a lovely event. I’m excited to test out the products and hopefully kick start my dark circle marathon.